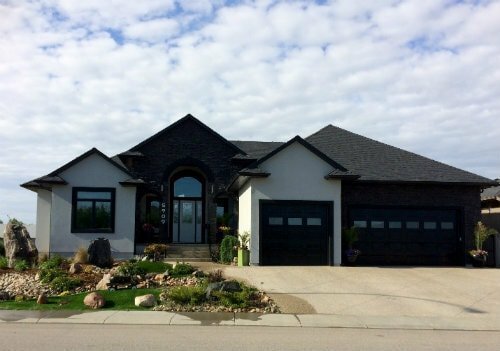 Browse the latest Skyview real estate listings in North Regina below! Are you looking for a distinctive, executive-style home that exemplifies your achievements? Are you in the market for a new home on a larger lot? Skyview is the neighbourhood where you can live up to your expectations. Skyview real estate is located at the intersection of McCarthy Boulevard and Diefenbaker Drive, north of Lakewood and west of Lakeridge Addition. Homes in the community are large, elegant, and finished to high-class standards. Check out the Skyview homes for sale available below, or read up on one of North Regina's most sought-after neighbourhoods. As you turn into Skyview, you will note the wide streets, Faford Park, and a sense of spaciousness for ultimate privacy. 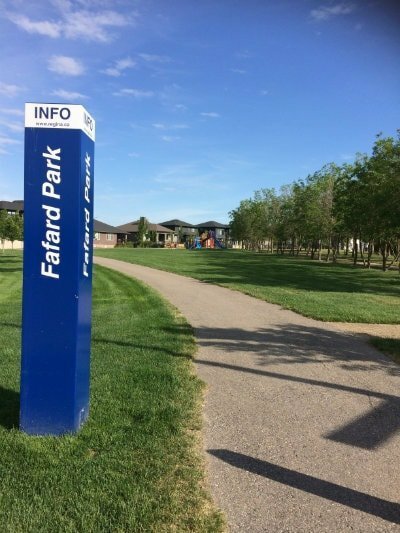 Architectural controls for this community allows homeowners to express their individual tastes while creating a distinctive neighbourhood with prestigious curb appeal! There are many walk out Skyview homes for sale in phase I plus many lots are backing green space for added privacy. Skyview is surrounded by miles of endless prairie landscape. Relax on a summer evening while watching amazing Saskatchewan sunsets from your back deck. If you desire graceful living among beautiful surroundings, welcome home. If you'd like to learn more about the Skyview homes for sale, take a moment to contact the Tourney Group online or call 306-789-1700 to talk to an experienced Regina real estate agent.